Long before air conditioning was a common amenity in most residences and buildings, high society New York women established their “cool” with an opulent, yet useful accessory: the hand fan. The Museum of the City of New York is now pleased to share the results of a project funded with the generous support of the Fan Association of North America to digitize over 330 exceptional fans from our Costumes and Textiles Collection. This work was carried out in our onsite digital lab, and the images are now available via the online Collections Portal. 1860-1869. Museum of the City of New York, 71.152.6. The Museum holds a premier collection of hand fans, comprising more than 700 objects dating from the 18th century through the 1920s and includes examples of painted, printed, brisé, and brisé feather fans, as well as hand screens. A substantial portion of the Museum’s Costume Collection speaks to the history and lifestyle of New York’s socially ambitious upper classes, and the hand fan collection is especially strong in this regard, mapping a material history of opulent tastes and luxuries. New Yorkers greatly valued these accessories as indicators of the wearer’s social status. As fashion objects literally kept “at hand,” fans conveyed information about the holder’s economic situation as well as personal taste. ca. 1905 (detail of maker’s mark). Museum of the City of New York, 48.314.14. The Museum’s fan collection includes fine examples dating to the early 18th century, as well as lavish pieces from the late 19th and early 20th centuries, a period characterized by new heights of conspicuous consumption consistent with New York’s “Gilded Age.” Many of the fans were purchased by New Yorkers on the Grand Tour at Paris ateliers including Alexandre, Buissot, Duvelleroy, Maison Ernst Kees, and Vanier Chardin. The collection also boasts work by other fan makers such as B. Coker, Joseph G. Darlington & Co., Spaulding & Co., and Tiffany & Co. Some fans stand out due to their fine components: amber, tortoise shell, ivory, plumes, and paillette embellishments. ca. 1910. Museum of the City of New York, 69.102.10. Others depict painted imagery including fêtes galantes, pastoral scenes, the biblical story of Bathsheba, a portrait of Fernando VII of Spain, classical motifs, and the commemoration of historic events such as the opening of the Brooklyn Bridge. Many of the fans in the Museum’s collection were held in the hands of members of notable New York families, including the Rockefellers, Guggenheims, Morgans, Astors, Vanderbilts, Pierreponts, Belmonts, Whitneys, Lehmans, and Schermerhorns, as well as theatrical personalities such as Gabrielle Rejane. Madeleine Hazelwood, Collections Assistant, accessing fans in the Costumes and Textiles storage area of the Curatorial Center. The fans are stored onsite in the Museum’s state-of-the-art Curatorial Center, which is equipped with high-density shelving and zoned climate-control storage for different object types. Despite observing Museum best practices for housing, environmental controls, and limiting physical handling, the innate physical structure of these objects has caused them to be more affected by use in the years prior to their accession into the Museum’s collection. Most fans were designed to be repeatedly opened and closed, and their delicate components—chicken and kid skin, paper, and silk mounts—were continually stressed throughout the objects’ useful life along stick-and-guard designated fold lines. Entire flattened taxidermed body of wood duck applied to cherry-wood handle, 1880-1889. 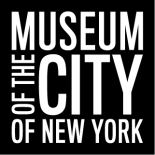 Museum of the City of New York, 60.132.3. As part of the Museum’s collection, any handling of these delicate objects – whether for internal research or external inquiries – is only allowed on site by appointment and under the supervision of Phyllis Magidson, Curator of Costumes and Textiles, in order to insure the long-term preservation of the fans. As a result, access to these rare and unique objects has previously been limited to periodic exhibition and scholarly research. Now, thanks to FANA’s support, the Museum has digitally photographed 334 fans, for a total of 436 images, including detail shots and images of the fan’s boxes. Many of these fans were cataloged as part of an earlier project supported by FANA, and the records that accompany these images on the fully searchable Collections Portal include details such as date, maker, and material type. 1860-1869. Museum of the City of New York, 73.155.12. Additionally, the Portal’s zoom feature enables visitors to see even the tiniest of details in the feathers, lace, brisé, mother of pearl, and painted and printed imagery captured by these high-resolutions digital photographs. Several of these objects have been on view in Gilded New York, the Museum’s ongoing exhibition in our Tiffany & Co. Foundation Gallery. Even though fans in the exhibition are rotated back into collections storage every three months due to their delicate and fragile nature, prior to the completion of this project, hundreds had never before been seen by the public. Thanks to the generosity of the Fan Association of North America, the Museum is now pleased to invite you to explore nearly half of our fan collection online. To learn more about FANA’s history, events, and projects, be sure to visit their website. The fixed, taxidermed duck fan is not a mallard, but rather a wood duck. This entry was posted on January 26, 2016 by Lindsay Turley in Costumes and Textiles, Digital Project and tagged 18th century, 1910s, 1920s, 19th century, Fan Association of North America (FANA), Fashion, Fashion accessories, Gilded Age, Hand fans, Social events, Tiffany & Co..